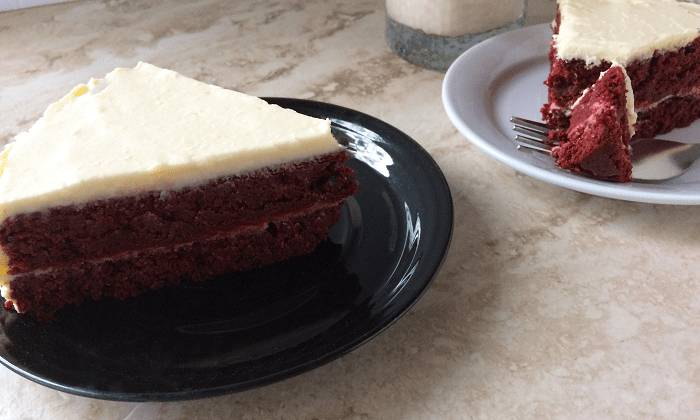 I have made a wonderful red velvet cake that I have adapted to keto. This was Michael’s grandmother’s recipe, so I wanted to make it for him for his birthday. I frost this with our cream cheese frosting, but you could frost it with buttercream frosting if you would rather. Either way would be delicious. Like I mentioned, it is one of the cakes that Michael’s grandmother always used to make and I was able to write down from her before she passed. Whenever I make this I just know that it will remind Michael of his childhood when his grandma would make this cake for him and remind me of the time I spent with his grandmother. To Color Or Not To Color. That is the question. 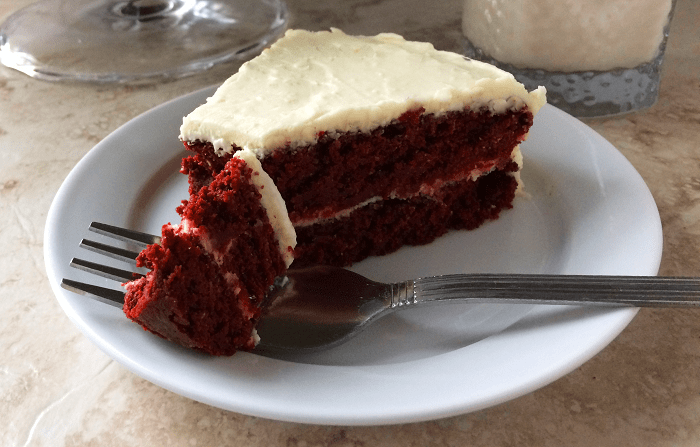 You can certainly do this cake without any food coloring at all or you could add red velvet emulsion to add to the flavor of this cake, but it will not change the color much. To get the classic red color you do have to add food coloring. Michael’s grandmother’s recipe called for 2 oz of food coloring, but I only added 1 oz and it seems to be red enough… I think so anyway. This is a rich and dense cake with light frosting that will satisfy your craving for cake while staying on track. Eating healthy has never tasted so sweet. We also have a great Boston Cream Pie recipe. Nutrition for the recipe is on My Fitness Pal just search Certainlyketo-Keto Red Velvet Cake. Add ½ Tbsp. 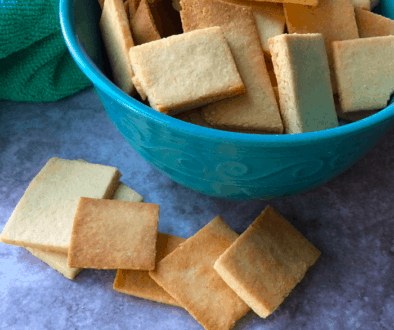 coconut flour for every oz of food coloring you add. Grease two 8 inch cake pans, set aside. Cream together butter and erythritol until smooth. Add eggs, sour cream, and apple cider vinegar. Blend until well incorporated. In a separate bowl, mix together with a fork or whisk, almond flour, coconut flour, cocoa, and baking soda until combined. Add dry ingredients a little at a time to wet ingredients with a hand mixer until blended. Add vanilla and red food coloring or emulsion until the color is uniform throughout cake mix. Pour half of the cake batter into each of the cake pans evenly. Let cool completely before removing from pans. 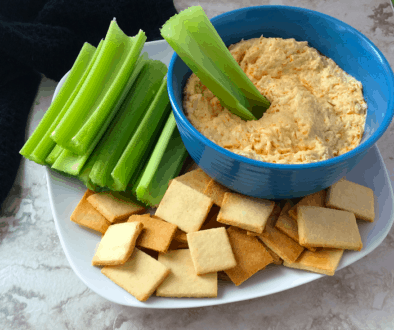 In a medium size bowl cream together cream cheese and butter. In a separate bowl beat heavy cream until it is whipped cream. Add whipped cream to cream cheese mixture, add erythritol. Beat all together until smooth and fluffy. 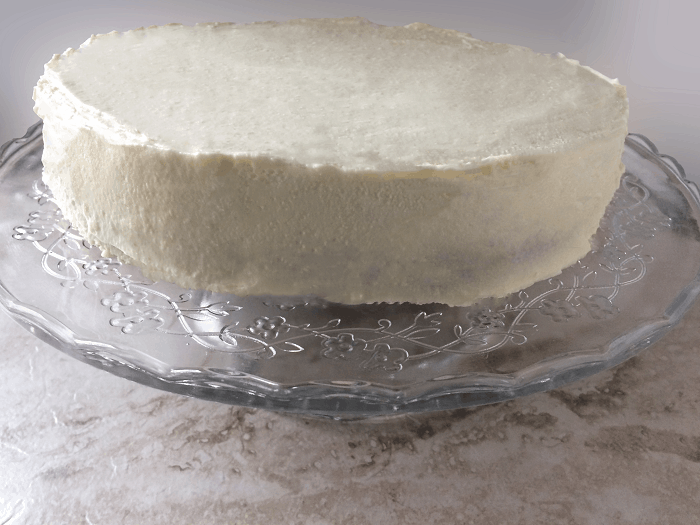 Frost cake with cream cheese frosting when the cake is completely cooled. We powder our own erythritol with a coffee grinder. Nutrition includes the frosting in this recipe. Do you think this would work as a Bundt cake? I think that it would probably work fine but you will have to cook it for longer because a bundt cake would be much thicker. So just make sure you cook it until a toothpick inserted into the cake comes out clean. Let us know how it comes out. Does the cake have to be refrigerated after being frosted?